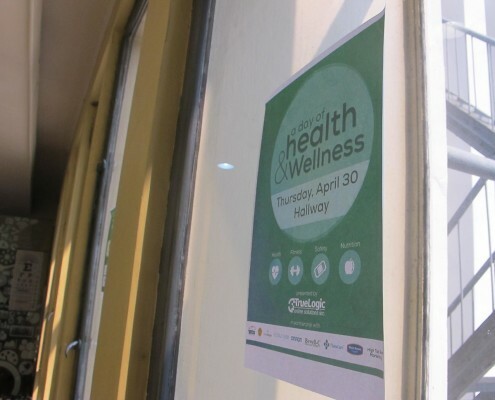 A Day of Health & Wellness | TrueLogic Online Solutions Inc. 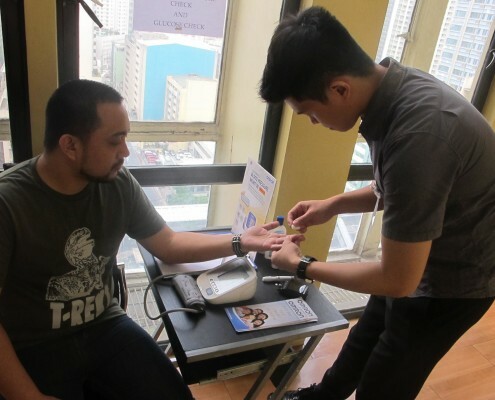 There were no shortage of freebies, massage sessions, and happy faces at Penthouse 2, JAKA building last April 30, as the TrueLogic family celebrated A Day of Health & Wellness—an event filled with health booths, fitness demos, and nutrition seminars. 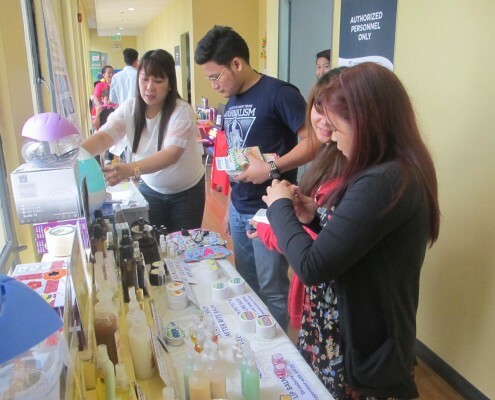 TrueLogic collaborated with some of the most well known names in the fields of health, fitness, safety, and nutrition for a health and wellness fair. 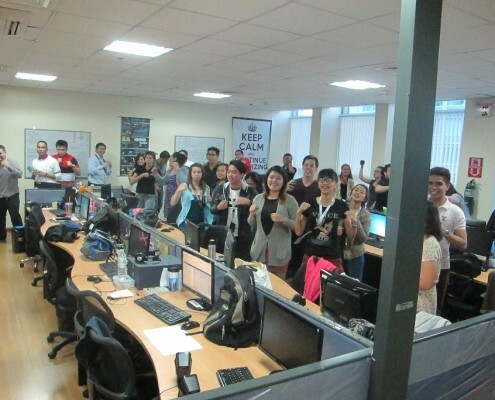 From 10 in the morning to 5 in the afternoon, employees from the Content, Admin, Finance, IT, and Ops Department flooded the hallway as they visited booths from Maxicare, Fitness First, Gold’s Gym, Urban Ashram Manila, Omron, and many more. 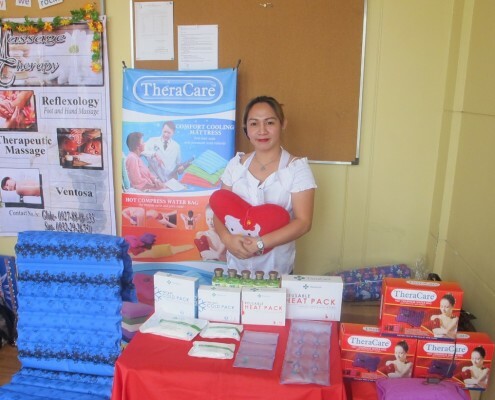 Some TL employees approached the TheraCare booth with aching backs and joints and walked away feeling more relieved than ever, thanks to the free trial with TheraCare’s hot and cold packs. 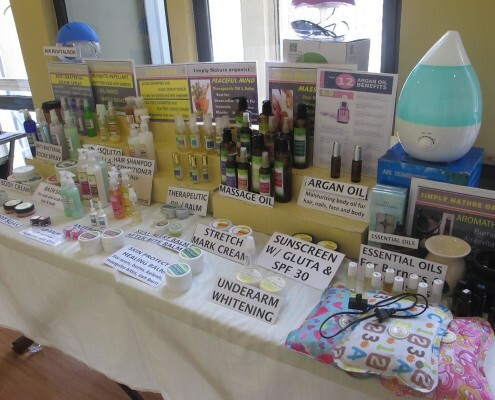 Beside their table is the White Flower booth, where we found a range of therapeutic products, including massage oils, pain reliever creams, and electro thermal water bags–just perfect for some of us who experience everyday body pains. Everybody lined up for free high fiber wheat bread at the Gardenia booth. We also enjoyed huge discounts on some of their products, including their White Bread, Slim N Fit Wheaten Bread, and Black Forest Loaf. TrueLogic employees also lined up for a one on one consultation with a healthcare professional at the Omron booth. Using an Omron automatic BP monitor, many took the opportunity to have their blood pressure and glucose levels checked for free. 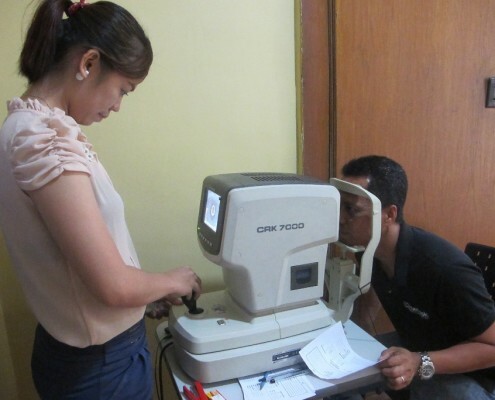 Good vision is a precious gift—and a daily necessity for all, especially for us TrueLogic employees. At the health fair, two-eyed and (soon-to-be) four-eyed peeps alike enjoyed the free eye checkup and free multi-coated lens provided by Four Eyes. 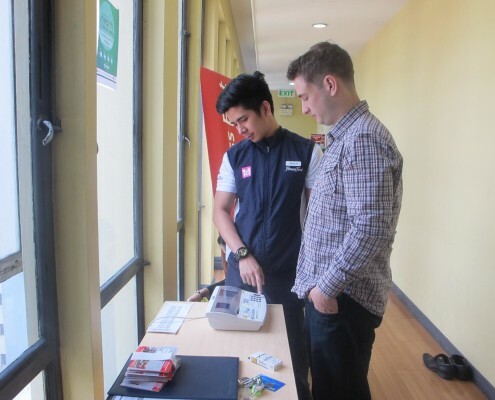 Fitness First and Gold’s Gym provided employees with a free nutrition assessment and a free BMI and body fat checkup. Some of us who went below or beyond the healthy BMI range signed up for gym memberships as well. Massage therapists, courtesy of White Flower, also went around to give us free massage service. The stiffness, headaches, and stress dissolved as we all melted into a state of relaxation with the skillful hands of the masseuses. To add to the wonderful spa-like experience, some of us also indulged in an ear candling session. We had our usual weekly town hall an hour earlier than usual—because this time it was even more special. 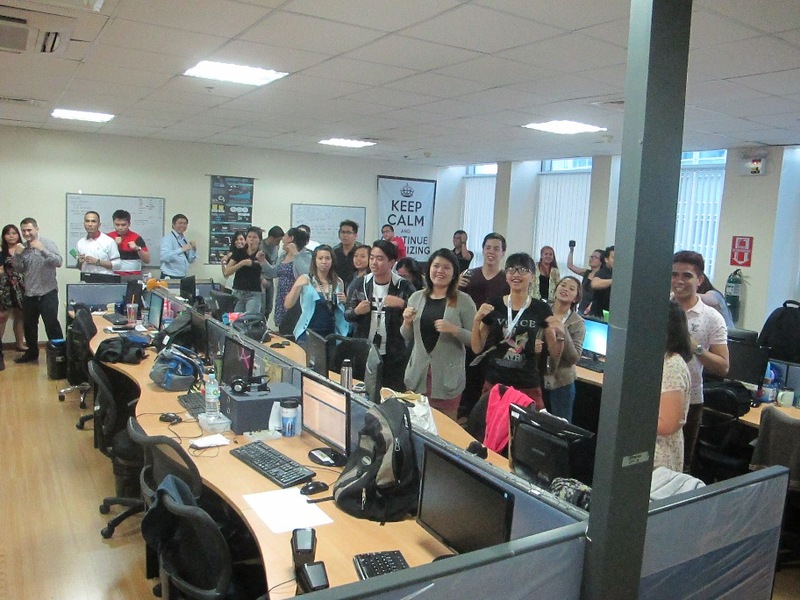 We received a handful of positive feedback from clients and fellow TrueLogic employees. 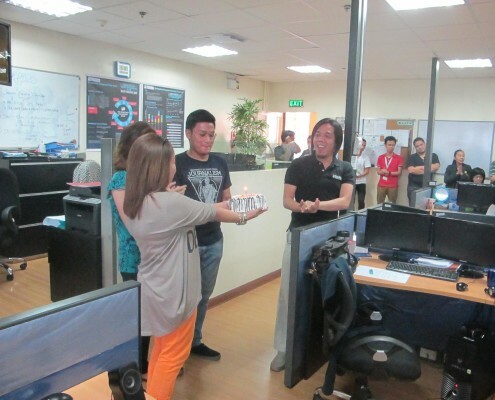 We also sang “Happy Birthday” to the April celebrants—including our content manager, MJ Navida, and our general manager, Bernard San Juan. 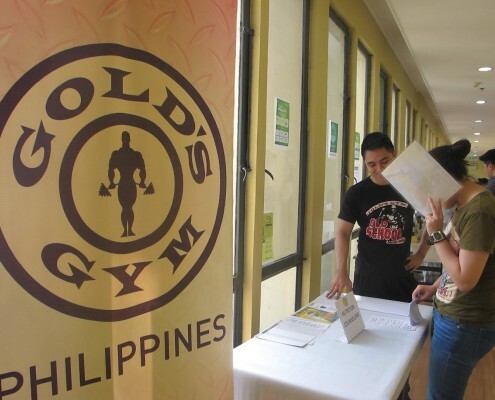 The session was followed by a nutrition talk by Gold’s Gym’s very own Christina Marasigan. We learned that the easiest way to cut down on calories is to cut down on fried food and fast food, that the sweets we consume should only be about six spoons per day, and many many more. Right after the talk, everyone participated in a relaxing yoga demo by Urban Ashram, followed by a heart-racing body combat demo by Fitness First. And, of course, we ended the day the best way possible—by enjoying a delicious buffet dinner. 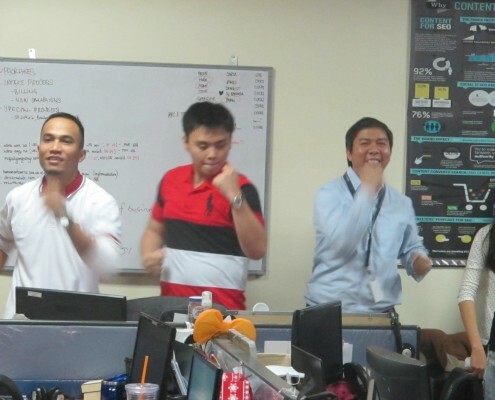 At our company, working hard and being healthy aren’t mutually exclusive. From health and wellness programs to the occasional happy hours, TrueLogic is committed to helping employees stay happy–and healthy. Join the team that puts your health first. Visit our career page to learn more about the opportunities that await you at TrueLogic. Dyan is a 21-year-old junior writer with a sense of humor of a prepubescent male. 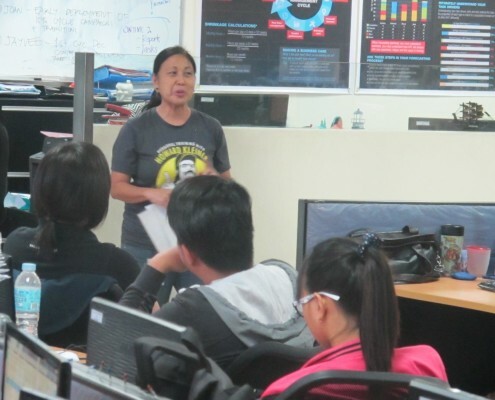 She graduated from the University of Santo Tomas with a degree in Journalism. In her free time she plays the drums and reads mystery/thriller novels that keep her from sleeping at night. She loves people, cats, and s'mores.